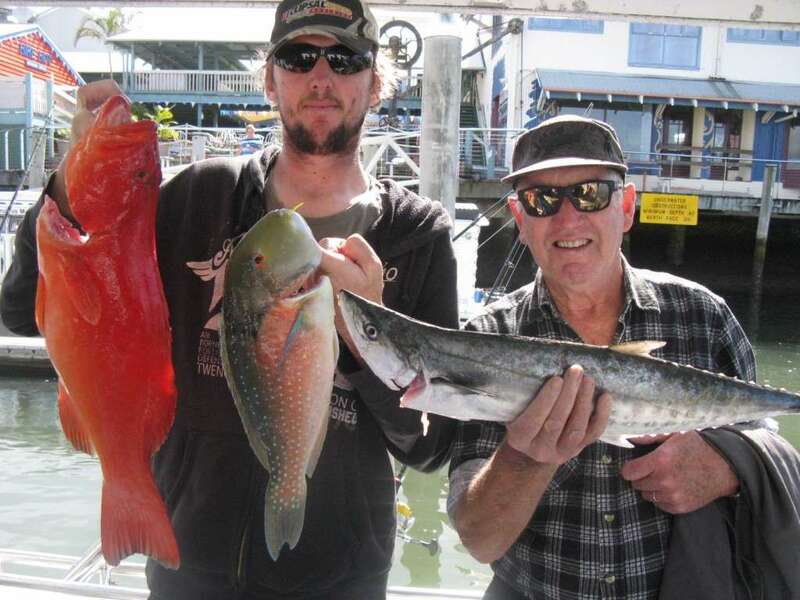 It’s a bleak and rainy day here on the “Sunshine” Coast so I thought I had better take the opportunity to update the fishing report and thankfully there is a bit to report on! In between the strong south/south easterlies we have managed to get out for a few trips. 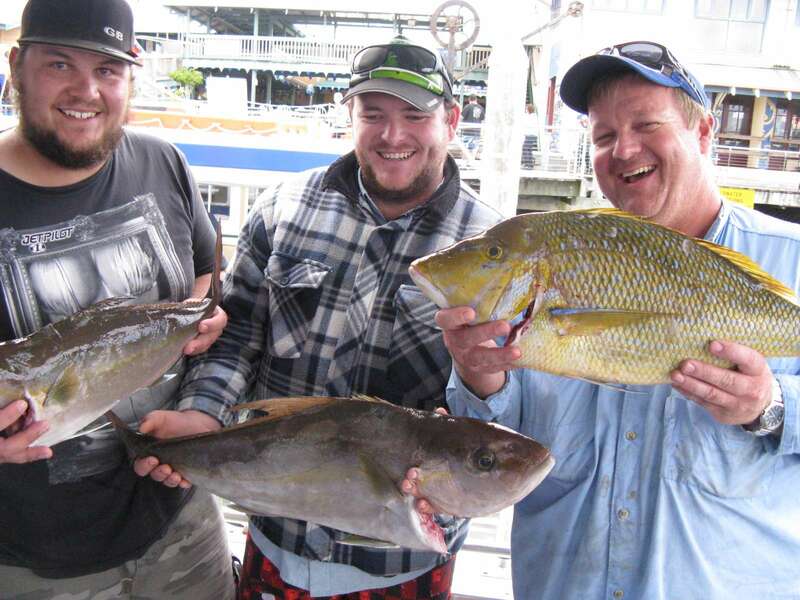 Mainly full day charters to the Barwon banks and a half day charter to Murphys reef. The full days are firing at the moment with the middle section of the banks producing good size and quantity of fish. 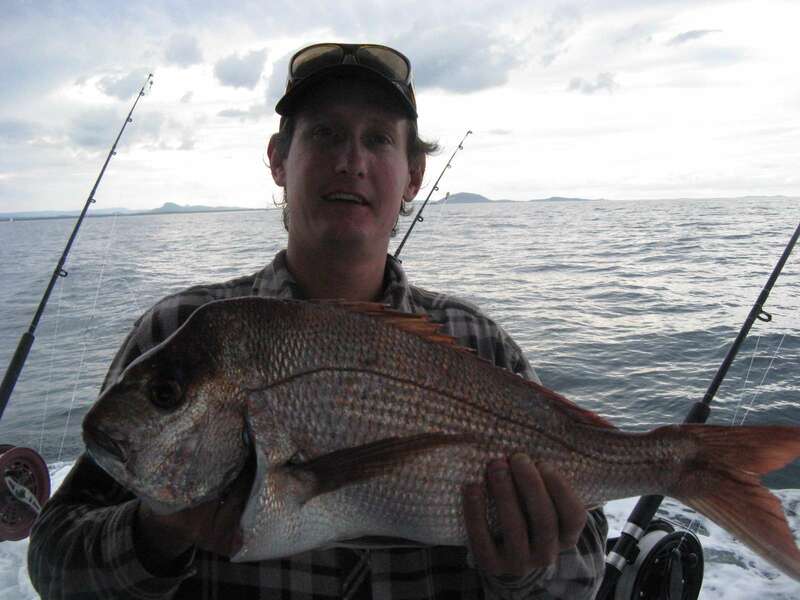 Some big snapper to 6kg starting to come through and best results were achieved using light gear and soft plastics. The picture below is of two 6kg models caught on Berkley power baits on Mondays’ trip. Well done boys! 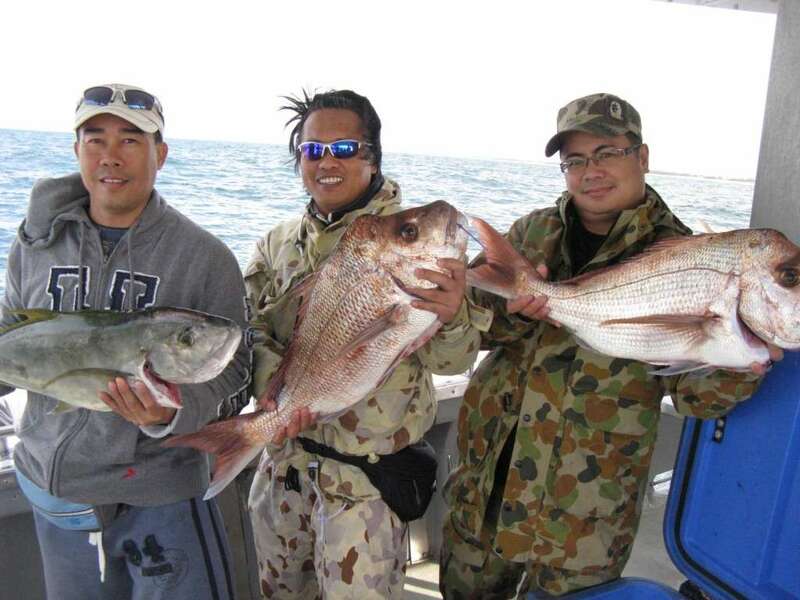 Other species caught on the Barwon banks during the last week included lots of tusk fish, red throat emperor, moses perch, hussar, gold spot wrasse, trevally, pearl perch, amberjack to 6kg, fusilier and spangled emperor to 6kg. Conditions’ were a little uncomfortable at times, especially on Wednesday, but everyone was rewarded with plenty of action. The pictures below show the biggest fish from Wednesdays’ trip, which were amberjack and spangled emperor op to 6kg. Well done guys! Our half day charter was spent on Murphy’s reef which is still fishing well. Species caught were school mackerel, moses perch, squire, pearl perch, tusk fish and hussar. 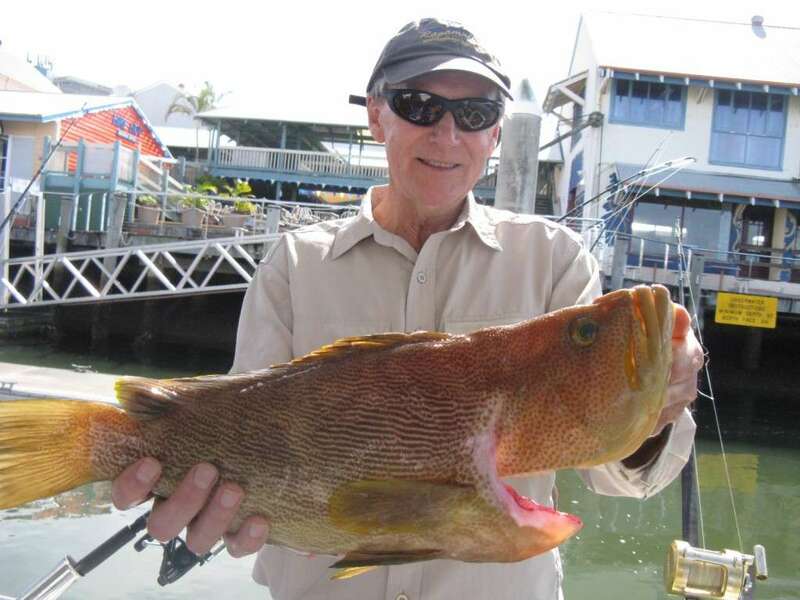 Still no big snapper in close yet but it won’t be long now that they are coming through the outer reefs. Sunday is our next half day charter and we still have a few spots left and although the weather looks to keep us in port for the next couple of days it does look come good Saturday afternoon ready for Sunday. If you would like to join us for a trip head over to our contacts page and flick us an email or give us a call until then- HAPPY HUNTING! !